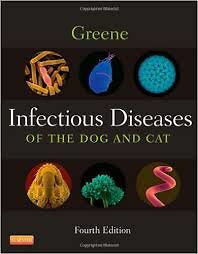 The definitive reference for the diagnosis, treatment, and prevention of small animal infections, Infectious Diseases of the Dog and Cat, 4th Edition delivers current, comprehensive information essential to the management of infectious diseases caused by viruses, rickettsiae, chlamydiae, mycoplasmas, bacteria, fungi, algae, protozoa, and unknown agents. Each section guides you through diagnostic testing for specific microorganisms, from sample collection to laboratory submission to interpretation of results, then details appropriate treatment measures and pharmacologic considerations for the various related infections. Full-color illustrations and hundreds of tables provide quick, convenient access to diagnostic and therapeutic guidelines, and thoroughly updated drug information helps you confidently administer appropriate dosages for the most effective treatment and prevention.